Ever since I can remember, people around me have argued whether Romford is in London or Essex and they still do today. Officially, we were once a market town in Essex and we’re now part of east London, also classed as a part of Greater London, in the London Borough of Havering and we have been for an awfully long time. 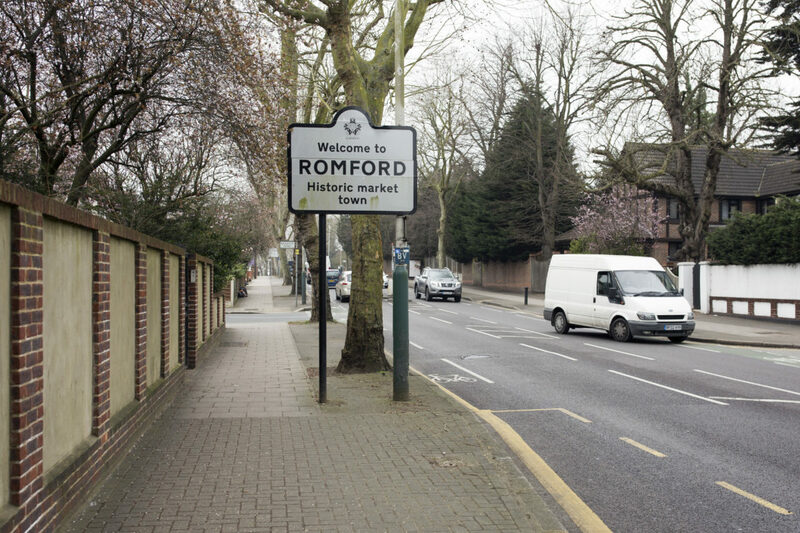 While history records Romford as a Roman settlement as early as 55 AD, we were then known as Rumford in Saxon times and back again to being called Romford. In 1247, Romford Market came about, so it is incredible to think about it still going strong today and being a huge part of our community. If you’re local like me, you’ll know that we have fast connections to Liverpool Street in case you want to hit the city but we’re also close enough to lots of countryside in Essex to be able to chill out a bit more than some of the other London boroughs. There’s plenty to keep you occupied nearby, whether you want a lazy Sunday at Wanstead Park or at the Italian-style Raphael Park with Black’s Lake, or a day wandering around discovering our history, like visiting St Edward the Confessor church or checking out Church House that was established in 1480 but is now a popular coffee shop. Even in 1640, Romford had 22 pubs and we have plenty of them now, of course, from the Golden Lion to the Golden Fleece. There are plenty of places to get food in our town, and lots of different kinds of cuisines, from munching away at Romford Fish Bar to enjoying Caribbean at The Taste of Jamaica. 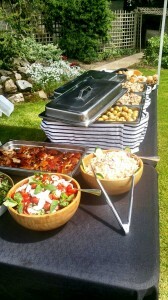 But what about if you’re planning a party or event and need caterers? Well, that’s where we come in. We’re famous for providing hog and spit roasts but we can actually provide so much more, whatever the occasion. You may be marrying at one of our lovely churches and want celebratory pigs in buns and your guests afterwards, or several courses, bottles of bubbly and delicious homemade desserts instead – we can do either. You may want spit-roasted chicken, turkey, beef or lamb for a milestone birthday party in your back garden or a hot meal of meat, veg and potatoes smothered in homemade onion gravy for a corporate event – we excel at both. Even if any of your guests have dietary requirements, we have many alternatives. Whatever you’re planning on celebrating in Romford, let The Spitting Pig do the hard work for you!